Galbraith? Obama doesn’t even seem to be trying to make his administration look like change. All this talk of hope is for a good reason, its all we have left! Two years without a single leak and suddenly, last week, Obama’s operation was like a sieve. That’s what happens when you pick up the phone and call one of the Clintons. Or, to put it another way, that’s what happens when someone claims you, the president elect, picked up the phone and called Mrs Clinton to ask whether she’d like to be secretary of state. Out the window goes the sense of purposeful strides towards a new-look Administration. In comes a dreadful feeling that somehow we’ve slipped a dimension in the space-time continuum and are heading back into the Clinton era. A couple of more weeks and the Republicans will be calling for a special prosecutor. I’ve had people try to explain to me the political logic of Obama offering his erstwhile Democratic rival a top position in his cabinet. Better to have her inside the tent. Send her off on bouts of futile shuttle diplomacy, like Condoleezza Rice. advocate of NATO’s onslaught on Yugoslavia. If we do get Hillary at State we may get Madeleine Albright as one of her sidekicks – the woman who said in the late 1990s that starving half a million Iraqi children was “worth it”, probably the line that the 9/11 al Qaeda hijackers were muttering to themselves when they sped on their mission of revenge towards the Twin Towers. This is change? old veterans of the two Clinton administrations who have been cooling their heels in law firms and think tanks for eight years make up a high percentage of those in the hiring line, particularly those who placed an early bet on Obama. To round off the symmetry he new White House counsel will be Greg Craig, who defended Clinton during his impeachment. Other possible appointments are not demonstrative of a resolute change of pace. The talk is of keeping Robert Gates on as Defense Secretary, although Gates has made no significant mark on the vast pork barrel beside the Potomac. The conversion of this mucky schemer of yesteryear into revered emblem of sound governance is one of the many marvels of our age. Somewhere down the road we’ll probably end up with another slimy fellow, former Navy Secretary Richard Danzig, who counts among his regular roosts CSIS and the Center for A New American Security, also decorated by the odious Robert Kaplan and Dr John Nagl. usual suspects will have the usual limited perspective. He’d better get this one right. A conventional appointee could doom his administration right from the start. In sum, this looks like a standard issue, business-as-usual cabinet in the making, about as exciting as looking at one of the regular network panel shows on a Sunday morning. Can’t they find anyone under 40 who looks like they might want to do things different and shake things up? The Golden Age of Eating was…. The Korean War ended 55 years ago, and the US still has troops in Korea. Germany was defeated in 1945, and the US still has troops in Germany. A country that must go hat in hand to its creditors must first look to where costs can be cut. Annual military spending of $700 billion is certainly a good place to start. But the US government has far more hubris than intelligence and is on its way to being a failed state that has to print money to pay its bills. It is not too late for the US to save itself and the dollar standard, but it would require a rapid transition from arrogance to humility. The rest of the world can bring America down by not lending to us, in which case neither the trade nor budget deficits could be financed. The guy leading Obama’s intelligence transition team is apparently John Brennan. He says that rendition (also known as kidnapping) is not only useful but okay. We gotta nip these things in the bud if we really get “change we need” rather than this same old crap. MARGARET WARNER: So is it—are you saying both—in two ways, both in getting terrorists off the streets and also in the interrogation? MARGARET WARNER: Why would you not, if this—if you have a suspect who’s a danger to the United States, keep him in the United States’ custody? Is it because we want another country to do the dirty work? 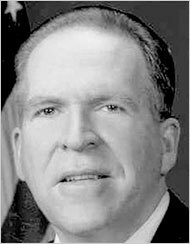 MELVIN GOODMAN: Well, John Brennan is being completely dishonest there. All of the operational people I’ve talked to know that the people who were turned over to the Arab intelligence services—and remember, this is Egypt, this is Syria, this is Jordan, this is Saudi Arabia—that all of these foreign intelligence services commit torture and abuse. Now, if any of these suspects had anything to say to us that was of any utility, we would have kept them. We would have controlled these people. They would have become our sources and our assets. When we turned them over, we were turning over people who we felt had very little to offer, and we were turning over them to them, to the Arab liaison services for torture and abuse. MELVIN GOODMAN: Well, then you have to wonder who he’s relying on, in terms of advice, to keep Bob Gates at the Pentagon, which I think is another example of continuity and not change. You mean to tell me that there are no Democrats who are qualified to become the Secretary of Defense? Bob Gates has supported all of the policies that Obama said he was going to look at very carefully and seemed to oppose: expansion of NATO, bringing Georgia and Ukraine into NATO, deployment of missiles in Poland, deployment of radars in the Czech Republic, the continued acquisition of a national missile defense, which is the most expensive item in the Pentagon’s procurement project, an item that we’ve spent over $500 billion on in the last forty years. This is—again, this is not change; this is continuity. Brennan is now “Assistant to the President and Deputy National Security Adviser for Homeland Security and Counterterrorism.” Sigh. After being treated like a cartoon slash bludgeon for the political campaign, read the article he has written now that the election is over. He uses a quote at the end from Eugene Debs, “If I could lead you into the Promised Land, I would not do it, because someone else would come along and lead you out.” I think this should apply to Obama’s election. It is up to us to make sure he does the right thing at all times, we have to hold his feet to the fire, we can’t just follow. 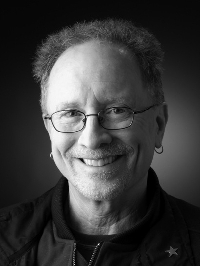 You’ll notice after reading his article, that Bill Ayers is actually a human being with knowledge and thoughts, how about that! UPDATE: Ayers gave the first interview since the campaign with Democracy Now! Watch the video or read the transcript.